After earning her M.S. 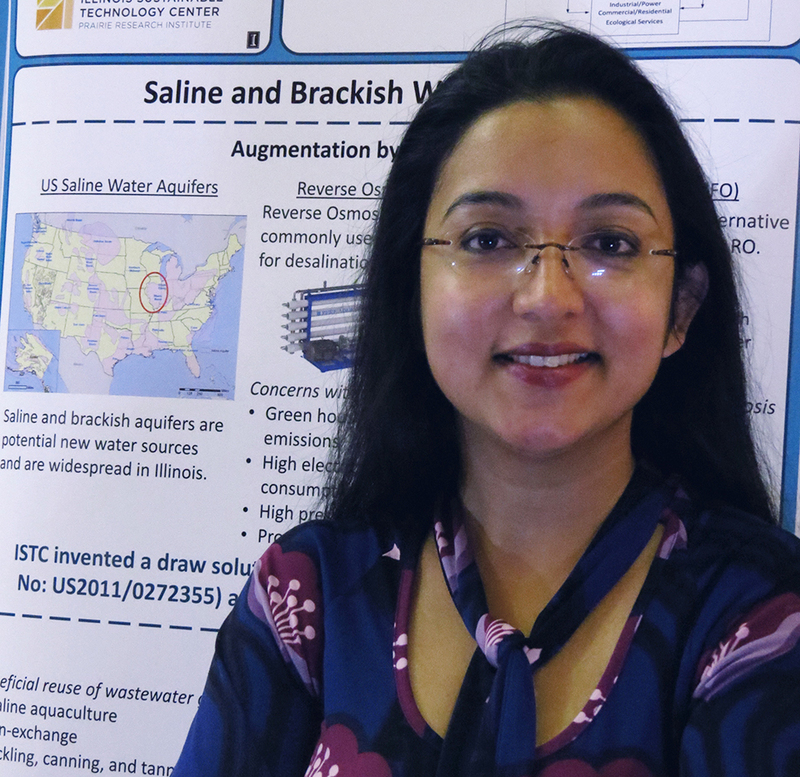 in Environmental Engineering at the University of Illinois at Urbana-Champaign, Srirupa Ganguly joined the Illinois Sustainable Technology Center, where she does applied environmental research. Q. What drew you to environmental engineering & your current focus at ISTC? A. I was drawn by the need to reuse wastewater. 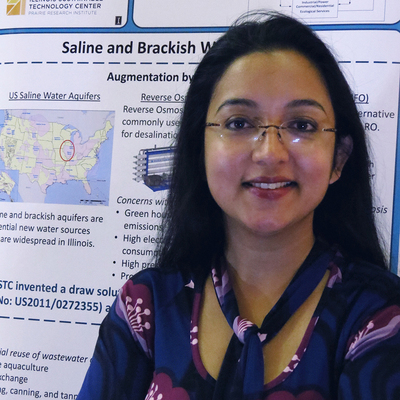 My research interests include testing and evaluating technologies for wastewater remediation, exploring applications for salt, nutrient and solid waste reuse, benchmarking wastewater treatment plants, and doing life cycle/economic feasibility analysis of emerging technologies. I am driven by the need to change wastewater from being considered a waste to being valued as a resource. I love to work on ideas to upgrade wastewater to make it useful, while understanding its limitations and challenges. A. I am happy about a recent project where we reached out to over 600 municipalities in Illinois to collect their discharge and energy usage data. With some persistence, we received a lot of useful information that will be used for benchmarking their efficiency. The last study of its kind in Illinois was conducted over 25 years ago.